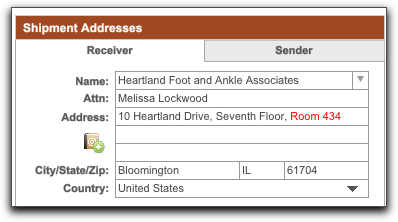 NRG: Mac & FileMaker Shipping Software :: Why is the shipping address incomplete on my label printed from NRG's UPS Shipping Software? Why is the shipping address incomplete on my label printed from NRG's UPS Shipping Software? If you are generating a UPS label be sure to keep the length of the name, contact and address fields to no greater than 35 characters as the data will be truncated.